Crispy nuts are a great snack for when the craving for something salty or crunchy hits! Alex and I were first introduced to the concept of soaking and drying nuts through one of our favorite books, Nourishing Traditions by Sally Fallon. Nuts, when eaten in their raw form, can lead the feeling of a full or heavy stomach or even digestive upset. This is due to numerous enzyme inhibitors present in the raw form. Consequently, nuts are best consumed after soaking and partially sprouting them. This is done with a salt water solution which activates enzymes that effectively neutralize the enzyme inhibitors. This process imitates the practices of traditional cultures like the Aztecs. Long story short, you are better able to digest the nuts and they actually taste better than they do in raw form! The process is easy, and can be done in the oven, but we have a dehydrator which works well. Put the nut of your choosing and the recommended sea salt in a large bowl. Add enough filtered water to cover the nuts. Stir to evenly distribute the sea salt. Leave in a warm place for at least 7 hours or overnight. Drain in a colander and rinse with water. If using a dehydrator, spread the nuts evenly on the trays. If using your oven, spread them on a cookie sheet. We find it’s best to leave a little space between each nut for even drying, but this is not essential. Our dehydrator recommends 105 degrees for dehydrating nuts. We usually leave them in the dehydrator for 36-48 hours, checking them for crispiness before removing them. If you choose to use your oven, the recommended temperature is 150 degrees for 12-24 hours. We always have several varieties of crispy nuts on hand for snacking. They fit the bill when the craving for something salty or crunchy hits! I also use crispy nuts in all recipes calling for the addition of nuts. 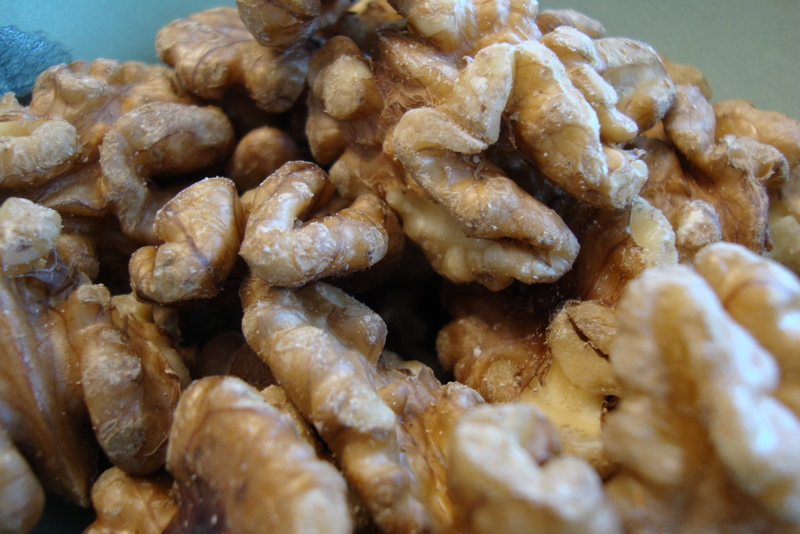 Almonds, Hazelnuts, Macadamias, Pecans, Pepitas, Pine nuts, Walnuts, Weston A. Price Foundation. Bookmark. You mention that your crispy nuts taste salty – I keep wishing mine did! It’s a slightly salty taste, definitely not like a roasted salted nut you would buy from the store! Are you using sea salt? I find that I use much less sea salt when seasoning food – it seems “saltier”!